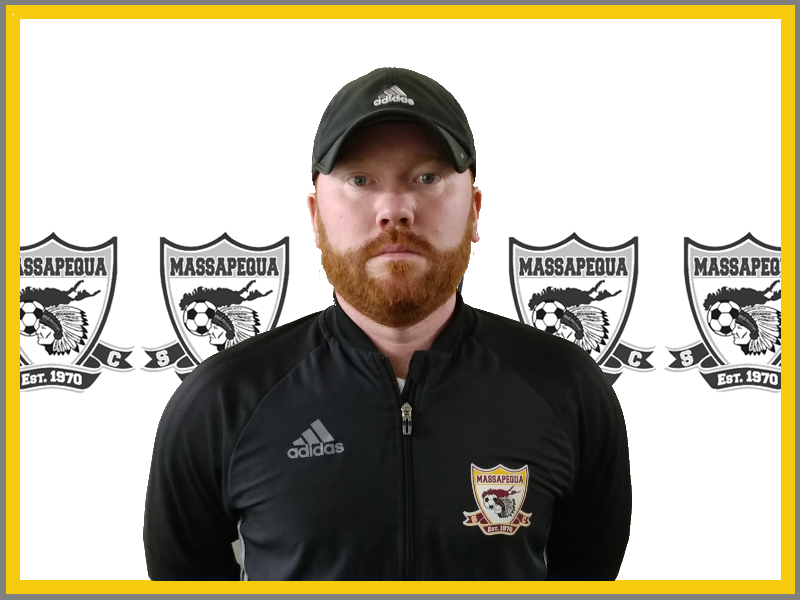 Ruairidh (Rury) Caulfield is in his second stint with the Massapequa Soccer Club, rejoining the club in August of 2015 after a hiatus pursuing his graduate studies in Business Administration at Franklin Pierce University. In 2017 Rury was named the Boys Director of Youth Development. In this role, Rury is responsible for curriculum development as well as coordination and implementation for boys U5 to U12. Rury also coaches a number of our Elite & Travel teams on the boy's side. In addition to his work with the Massapequa Soccer Club, Rury was previously a graduate assistant coach as well as the interim head coach for the Franklin Pierce University Men’s Soccer Program. A native of Glasgow, Scotland, Rury represented his country at both schoolboy and amateur levels. He was recruited as a boy to play for Glasgow Rangers FC where he spent three years before moving on to Livingston FC where he signed his professional contract. After three years with Livingston, Rury had a short stint with Gretna FC. His career in Scotland was highlighted by winning the Scottish Cup on two separate occasions, once with Rangers and once with amateur side Harmony Row. Rury left Scotland for the United States to compete as a scholarship player for Mars Hill College. Rury was an All-Region selection as well as the Mars Hill captain in each of his four years in North Carolina with the Lions advancing to the “Sweet 16” of the NCAA Tournament during his time there. Rury has his Scottish Football Association E & D badges as well as a USSF F license and is pursuing additional USSF education.